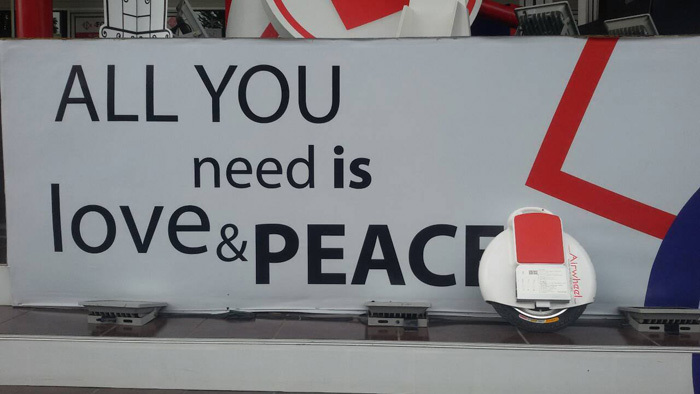 Days ago, Commart Fair took place in Thailand on 19th March, 2015. A large number of exhibitor attended this 4-day-long exhibition and thousands of visitors swarmed into the festival occasion. Airwheel Thailand team also joined Commart Fair as one of the exhibitors, displaying its lines of X-series, Q-series and S-series. Airwheel had been acting as a focus of the exhibition before the exhibition came to an end. Established in 2013, Airwheel has been specialising in the industry of electric unicycle and twin-wheeled scooter. Nearly three years has seen its rapid development. Its lines have expanding from X-series to Q-series and from Q-series to S-series. These lines have been prevailing all over the world, in particular in the Euro-American market. Its amazing popularity owes to the unique features: portability, intelligence and low-carbon. At Commart Fair, staff members of Airwheel team gave a vivid show-how on site, considerately guiding visitors how to control the vehicle. Inside Airwheel’s stand, there were several demos provided specifically for test drive. The on-site users unanimously thought highly of every Airwheel model, especially the intelligent self-balancing scooter S3. 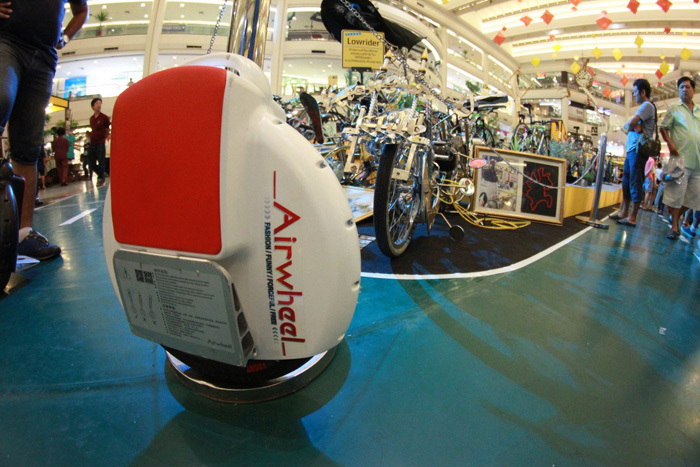 Lots of traders were attracted by Airwheel’s models. They came to Airwheel’s stand for a deeper understanding about these electric and intelligent vehicles. Thanks to the eco-friendly feature, those traders found electric and intelligent vehicles able to be widely used in factory warehouses and sports as personal transporters. As these products are powered by a lithium battery core, they produce no emissions, which in turn contribute to a low-carbon lifestyle. Apart from traders, numerous visitors also showed a strong interest in these electric unicycles and intelligent self-balancing scooters. They regarded them as an ideal choice of the recreational and workout gear. Among those visitors, buyers said they would commute on them in daily life. Its compact size and portability free you from traffic in commute. Obviously Airwheel’s lines enjoy more potential for users to discover. Models such as Q-series and the intelligent self-balancing scooter S3 see a bright and unlimited future. Believably, Airwheel’s electric unicycles and intelligent scooters will be ubiquitous in every nook and cranny of the globe.